This Is Us first hit NBC, and millions of viewers, in fall of 2016, and it instantly resonated with audiences in a very powerful way. I was late to the party, but luckily, the show is still going strong. High viewership and conversations across social media can attest to that. Just last month, I began playing catch up when I started watching episodes on Hulu. You know how TV shows tend to hit the dreaded second season slump? Well, This Is Us didn’t fall victim to that. I’m powering through Season 2. The characters remain dimensional and nuanced, and their stories, though very different, are consistently compelling. These people come together in their humanity. They come together because they are family. And we, their audiences, come together in front of our screens because we love to watch these characters and see where their stories lead. My attention was captured, and held, during the critical first episode. Stories were revealed, characters illuminated, lives connected, and emotions experienced. The emotions were powerful. I cried during that first episode, and it wouldn’t be the first time. I cried during a lot of other episodes throughout that first season, too. I cried as lives and relationships were explored and revelations surfaced. The stories unravel gradually, leaving me an emotional wreck in the process. So many tears cried, more than I’ve ever cried over a TV show. So tell me, why do I, and millions of others, keep coming back for more? I’m getting to the end of season two, and there’s still no shortage of emotional moments; the kind that make me cry…and cry. Why do I subject myself to this? Hmmm. Could it be that This Is Us is packed with emotional bonuses, more so than your average network drama? That emotion is what drives the storytelling along, what brings the stories together, and what brings us, the viewers, into the fold? I call it a “colossal emotional punch.” This Is Us wouldn’t be the show that it is without its scattering of colossal emotional punches throughout its story lines. They are deftly executed and unpredictable. This is what you want and this is what your fundraising needs. Emotion, and wanting to feel and experience emotion, is deeply woven into who we are. Our humanity. The fact is, humans like to feel and experience emotions. We enjoy it. We’re compelled to make decisions based on emotions. My decision to repeatedly return to This Is Us, to binge-watch it, is driven by the emotions the shows characters and stories inspire me to feel. If you’re a loyal viewer, chances are, emotion is what compels you to keep on watching it, too. Many fundraisers, sad to say, shy away from sharing the emotional component of their work. They insist that their donors need to be *educated. * That they need to create awareness. Some of them even find the use of emotional storytelling exploitative or manipulative. But it is the emotional component that always draws donors to your work. Can you identify the colossal emotional punch in your stories? 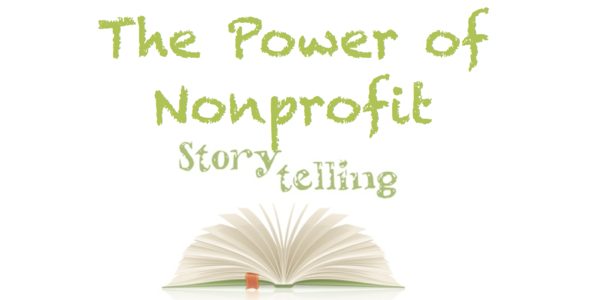 Building up to the powerful moments in your stories will inspire your donors. They’ll never forget you, why they gave to you, and why they want to give to you again. They’ll keep on coming back to you.